New Enamel Bamboo Bangle bracelet is just perfect for 2008 ! ONE OF THE HOT TRENDS OF THE YEAR! 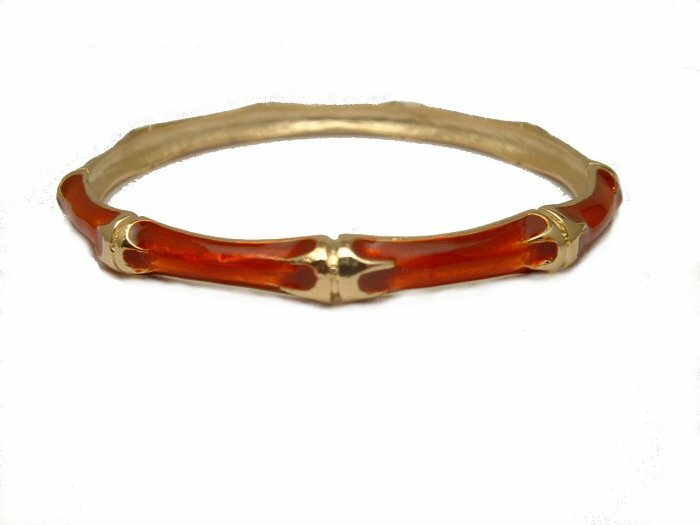 First made famous by Kenneth Jay Lane, and made for us.This Thin Enamel Bangle Bracelet is made to look like Bamboo and has 14K gold plated Accents. Bracelet Measures 2.5" in diameter. All the Stars Wear These.....Now You can Too.....for a lot less ! Available in Many Colors.....Cream,Yellow,Blue, Black & Pink.